Minister within the Ministry of Natural Resources, Simona Broomes, interacting with retrenched sugar workers at the Enmore sugar estate. Photo credit: GINA. 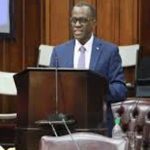 GEORGETOWN, Guyana, January 29, 2018 (CMC) – The Guyana government has defended its decision to retrench more than 1,000 workers at the Enmore sugar estate saying “hard decisions” had to be taken to save the sugar industry. 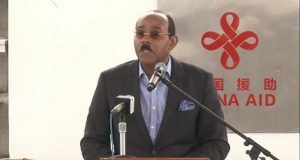 A government delegation, including Business Minister, Dominic Gaskin; Minister of Public Security, Khemraj Ramjattan; Minister of Public Telecommunications, Cathy Hughes; Minister of Citizenship, Winston Felix; and Minister within the Ministry of Natural Resources, Simona Broomes, met with retrenched workers, last Friday, to discuss the situation. 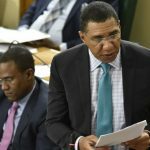 Ramjattan said that the David Granger-led coalition government had to make some “hard” decisions, not only for the country’s interest but for the hardworking emplyees of the industry. 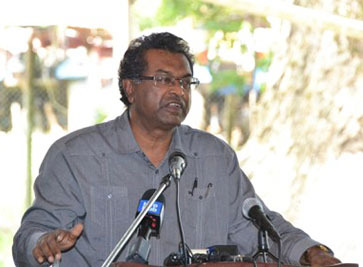 Minister of Public Security, Khemraj Ramjattan, speaks to sugar cane workers. Photo credit: GINA. “We then indicated that we had to make certain big decisions, rightsizing is where we were thinking. And we indicated that we had to get a group of experts; the group of experts went and did all their studies and indicated a set of recommendations to us. What we are now implementing is the set of recommendations…. 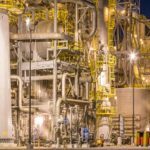 to save the industry, to consolidate it, not to close it down,” he said. 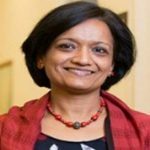 Ramjattan added that global market forces resulted in significant decline in the need for sugar on the world market and as a result, it became strenuous for the government to continue providing subsidies to the Guyana Sugar Corporation (GUYSUCO). 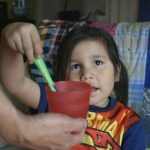 “That kind of global situation is changing rapidly, as a result of either you are having a substitute for sugar or you are having a consumption pattern that is not altogether as great as it used to be,” he told the sugar workers. 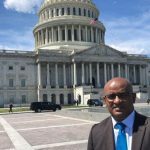 He said that it was only a matter of time for the sugar industry to be right-sized as Guyana was already forewarned decades ago. Nevertheless, he assured the group that the interest of the sugar workers will remain a top priority of the government. 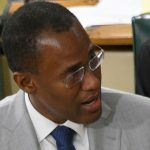 Gaskin reiterated the government’s position regarding the sugar industry, restating the need for the workers, who played and continue to play a major role in the advancement of the economy. 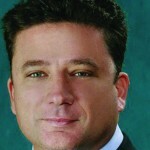 “It is not the fault of the workers that GUYSUCO has found itself in trouble. Bad decisions, bad investments, bad leadership and bad management has brought GUYSUCO to where it is today,” he said, noting that the workers have to be facing the brunt of the negligence. 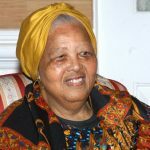 Gaskin pointed out that those responsible for the decline in the sugar industry are now providing advice on what could have been done to save the industry. The government had called on the Opposition and other stakeholders to put their suggestions forward so that a collective decision could be derived from the consultative process, however, these efforts proved futile. Felix said there will be opportunities, in the future, as the government is working through the Special Purpose Unit (SPU) of the National Industrial and Commercial Investments Limited (NICIL), accepting expressions of interests from agencies around the world. 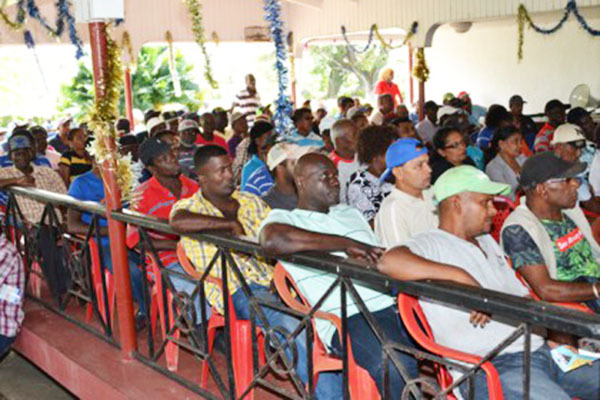 The sugar workers were assured that they will begin receiving their severance payments today, January 29. 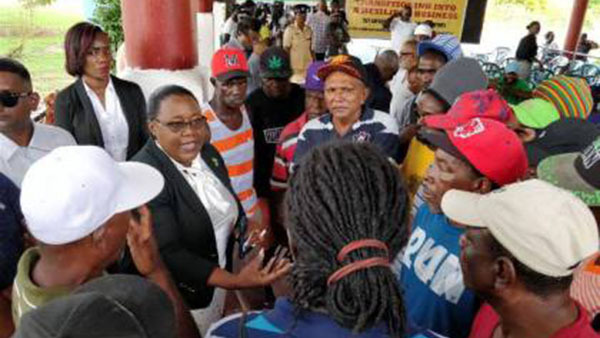 For workers who are owed GUY$500,000 or less, they will receive 100 percent of their severance; while others, who are scheduled to receive more than that amount, receive 50 per cent on Monday. Sugar workers at the event. Photo credit: GINA. 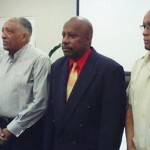 Meanwhile, State Minister, Joseph Harmon, told a post-Cabinet news conference, on Friday, that several proposals were made during a meeting with the two trade unions – Guyana Agricultural and General Workers Union (GAWU) and the National Association of Agricultural, Commercial and Industrial Employees (NAACIE) – representing the workers. He said the infusion of private capital through partnerships, the issuance of bonds and other investment tools and funding through the Guyana Green State Development Strategy (GSDS) were some of the measures highlighted by the unions. 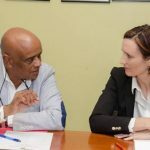 “They(unions) agreed that privatisation was an option to be pursued, but advised that maximum value should be sought for the assets through the sale of estates as growing concerns, and that the right of sugar workers must be guaranteed under any new arrangements within the industry,” he said. The government is exploring the possibility of providing lands to retrenched sugar workers for agricultural purposes. However, he clarified that the lands will be allocated in a structured way, following valuation of GUYSUCO’s assets. The valuation is currently ongoing by PricewaterhouseCoopers. 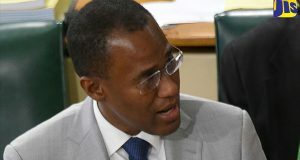 Harmon said that the government, in the White Paper on the Sugar Industry, which was laid in the National Assembly, made it clear that the “New GUYSUCO” will be a three-estate entity, along with the related facilities and that the other identified estates would be placed for divestment. 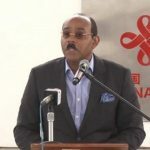 “Those estates which do not form part of the three-estate operation of GUYSUCO and the assets, have been placed under the stewardship of the NICIL and an entity established under NICIL, called the Special Purposes Unit (SPU),” he advised. 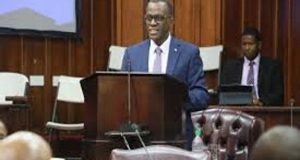 He said that “the SPU now has superintendence of those matters, which are not part of the three-estate new GUYSUCO…what remains with the three estates will certainly need to have the management and the board addressed”. 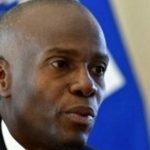 He said the government is now awaiting information that will allow it to make certain decisions related to the management structure of the “new GUYSUCO” and that with the provision of this information government will be able to make a public statement on the matter within a short time.